While most refugees still enter Croatia from Serbia, small groups are starting to cross over from Bosnia and Herzegovina, possibly creating a new route for refugees heading west. Some refugees from the Middle East have started to enter Croatia from neighbouring Bosnia and Herzegovina, opening up a potential new route towards Germany and northwest Europe. Since Hungary closed the Serbian border and diverted the refugee wave to Croatia on September 16, all refugees entering Croatia have been accommodated in the camp at Opatovac near the Serbian border. From there the refugees were transported firstly to the border with Hungary and later to the border with Slovenia. However, Croatian police detained three Kurdish migrants from Turkey on Sunday in Vrhovine in the continental region of Lika who had crossed over from the northwestern Bosnian city of Bihac. They reportedly flew to Sarajevo, Bosnia, from Turkey and told police that around 15 more were currently in Bihac and would enter Croatia on the following day. The reports have not been confirmed by the local authorities. “We don’t have any evidence of refugees crossing this part of the country,” a spokesperson of the Una Sana canton in Bosnia told BIRN on Tuesday. Bosnian authorities have been on full alert for months, expecting a new refugee route to open up inside the country. However, most refugees have avoided crossing through Bosnia so far. Since Croatian officials said at the beginning of the influx that Croatia will not tolerate refugees entering from Bosnia, the three Kurish migrants were transferred to the centre for illegal migrants and will be deported back to Bosnia. The process would be “transport to the centre for illegal migrants, procedure and deportation,” Ranko Ostojic, the Croatian Interior Minister, said on Tuesday. Croatian authorities will meanwhile close the centre in Opatovac in the coming days, since a new refugee camp in Slavonski Brod, in eastern Croatia, opened on Tuesday. This camp will serve as a transit and registration centre during the winter with its heated tents. The first transports of refugees by train from Presevo in southern Serbia to the camp in Slavonski Brod started on Tuesday. 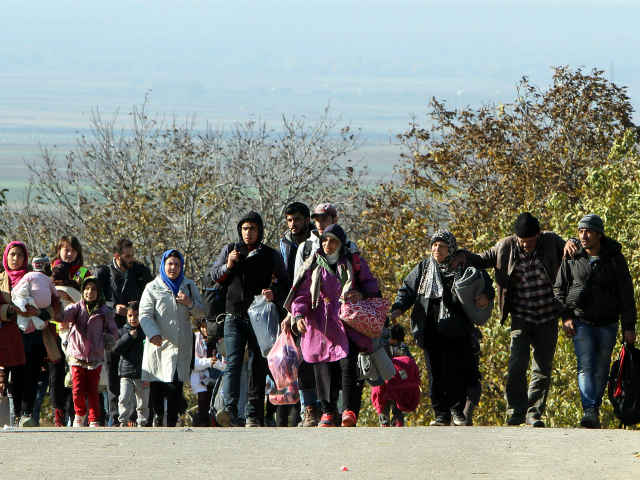 Between midnight on Monday and 9am on Tuesday, 2,006 refugees entered Croatia. In total, 314,423 refugees entered Croatia from September 16. Addressing members of her Christian Democratic Union, CDU, in the western city of Darmstadt on Monday, German Chancellor Angela Merkel said that closing the German border with Austria to refugees would be reckless and would lead to a backlash in the Western Balkans. “I do not want military conflicts to become necessary there again,” Merkel said, explaining that disputes in a region still scarred by the armed conflicts of the 1990s could escalate easily, which “no one wants”.